Be Free Bail Bonds Locations In Southwest Ohio. Our Convenient Bail Bonds Offices Are Located Throughout Southwest Ohio, So We Can Provide Immediate Bail Bonds Services In Cincinnati, Hamilton, Lebanon, Dayton, Xenia And Beyond. 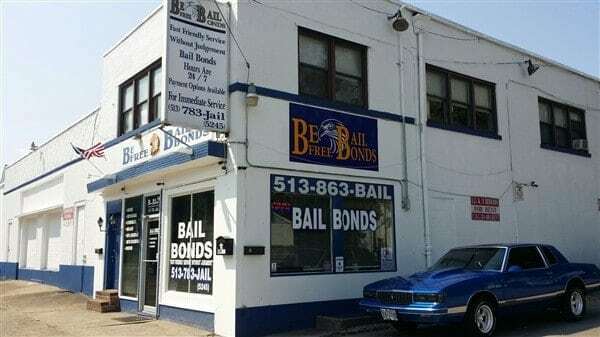 Be Free Bail Bonds serving Middletown Ohio and surrounding, Located Near The Middletown Municipal Court And City Jail. Be Free Bail Bonds Also Has local Bail Bondsman serving Dayton, Eaton, Franklin, Springboro, and Miamisburg. Be Free Bail Bonds is a local Bail Bonds Company providing professional Bail Bonds Services in Southwest and Central Ohio, with locations and (or) Bail Bonds Agents in Hamilton, Lebanon, Dayton, and Cincinnati. Bail Bond payment plans available with affordable monthly payments. Call anytime to speak with a live local Bail Bondsman today. Service area includes Middletown, Monroe, Franklin, Dayton, and surrounding. Very very understanding and helpful and not to mention friendly!! You were a silver lining in a veey dark cloud! Not enough thanks to go around!!! Thank you for all your help you exceeded my expectations. Truely there for you!!! Thank you for all the help . I would recommended Be Free Bail Bonds to all my friends . I was treated good and they worked fast to get my issue resolved this is the only place I would go to again for help . Dayton Bail Bonds, Serving Montgomery, and Greene County. Local Bail Bondsman In Dayton, Kettering, Miamisburg, Huber Heights, Xenia, and Fairborn. Be Free Bail Bonds of Dayton Ohio Provides Professional Bail Bonds Services In Montgomery, Clark and Greene County, with Local Honest Bail Bondsman Available Anytime to Ensure The Release of Your Family or Friends from Local and County Jails. Our Bail Bonds Agents are Available in Dayton, Kettering, Miamisburg, Huber Heights, Xenia, Fairborn, Springfield, and Surrounding. Be Free Bail Bonds Also has Convenient Locations in Butler, Warren and Hamilton County. Bail Bond Payment Plans Available with Affordable Payment Options with No Credit Check. Call a Local Bail Bondsman You Can Trust that Can Get Your Loved One Home. Service area includes Dayton, Kettering, Miamisburg, Huber Heights, Xenia, and Fairborn Ohio. Lebanon Bail Bonds Office, Serving All Warren County. 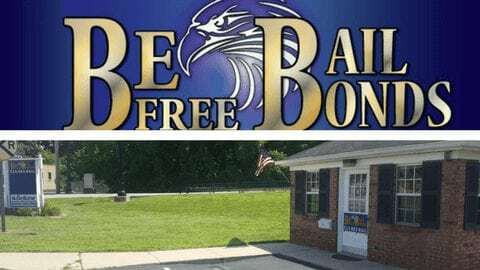 Be Free Bail Bonds Warren County Office Is Conveniently Located Downtown Lebanon Ohio By The Lebanon Municipal Court and a Few Blocks From The Warren County Jail. Bail Bondsman Serving Lebanon, Mason, Springboro, Franklin, Batavia, and Surrounding. Our Local Bail Bondsman Specialize In Providing Honest, Reliable and Friendly Bail Bonds Services Across Southwest Ohio, Be Free Bail Bonds, LLC Also Has Locations In Hamilton, Dayton, Middletown, Cincinnati, and Lebanon Ohio. Call Your Local Warren County Bail Bondsman Today. Payment Plans For Bail Bonds Are Also Available. Service area includes Lebanon, Mason, Franklin, Springboro, Batavia, Wilmington, and surrounding. Steve is amazing. He definitely knows what he's doing. He makes sure that you understand everything an is a very down to earth kinda guy. He doesn't feed you any bs. I highly recommend them. Hopefully I never need his help again tho but if I do he's definitely the go to guy. They were amazing! So helpful and knowledgeable. They went out of their way to help us out and went above and beyond! This was my first experience with this and my nerves were calmed. And I feel so much better and I am so pleased with my experience. If you need help CALL THEM! I wanted to let everyone out there know that Be Free Bail Bonds was the biggest help to my family when we needed to bail my son out of jail. They were very responsive, professional, and willing to assist if they could in putting up the bond when we were unable to do this ourselves. They went above and beyond the call of duty. They treated us with much respect. I suggest you call Be Free Bail Bonds for this type of need. THANK YOU FROM THE BOTTOM OF MY HEART! I'd give em ten stars if I could!! Working with Carl (Steve) from be free bail bonds was absolutely amazing. He was super nice, very informative, and straightforward with me about everything. When we first met he even told me to wait a couple days before I paid the bond because we didn’t know what would happen and he didn’t want me wasting my money for no reason. Very quick, very efficient. Him and his wife both were so amazing and I would recommend to anyone!! Excellent service. Friendly and helpful. Very fast and efficient. Make Be Free your first call. You'll be in good hands..Thanks Steve! If you need someone who not only will do everything he can to help you through this difficult process, but will also treat you with respect and no judgement, then you MUST call this place! He is so knowledgeable in this space, that he makes every other bail bondsman look obsolete. He was truly the most understanding, most caring person in such circumstances. He doesn't talk down to you or speak like lawyer. He talks to you like a person and if you ask me, that's rare to find these days anyways no matter what. I highly recommend this business to help you with yours. I can never repay this man for all he has done to help my family and I. And I know this seems crazy to say, but, usually once someone you know gets bailed out, you're generally happy to be done with the whole thing.... Well, you'll be sad when the process is over because I can guarantee you've never met someone with so much integrity and so much heart. Thank you for everything Be Free! Hamilton Bail Bonds Office, Serving All Butler County. Be Free Bail Bonds Local Hamilton Ohio Bail Bonds Office Is Located One Block From The Butler County Jail, Local Bail Bondsman Serving Hamilton, Fairfield, Middletown, Oxford, West Chester And Surrounding. Call Our Local Butler County Bail Bondsman Today, We Know How Stressful It Can Be Having Someone You Love Locked Up In Jail. Be Free Bail Bonds Provides Fast Friendly Bail Bonds Service Without Judgment, Available Anytime. Be Free Bail Bonds Butler County Office is Conveniently Located One Block from The Butler County Jail Downtown Hamilton Ohio with Local Bail Bondsman Proudly Serving the Cities of Hamilton, Fairfield, Middletown, Oxford, West Chester, Cincinnati, and Surrounding. Be Free Bail Bonds is a Locally Owned and Operated Bail Bonds Company and Specialize in Providing The Very Best Bail Bonds Service in Southwest Ohio. Bail Bond Payment Plans Available with Affordable Payment Options, No Credit Check Required. Call Your Local Bail Bondsman Today for a No Hassle Free Quote Today. Call Be Free Free Bail Bonds Today To Speak With a Local Hamilton Ohio Bail Bonds Agent. Service area includes Hamilton, Fairfield, Middletown, West Chester, and surrounding. I have nothing but positive things to say about this business. For one, he went above and beyond for me in order to come to an agreement so that my boyfriend could be home for the birth of our son. Secondly, he doesn’t talk down to you with the legal talk- he said things in ways that were more easily understood than the courts. And thirdly, perhaps everyone’s favorite reason, IT WAS FAST. I never thought bailing someone out could be done in such a quick and painless (not my bank account) way. Although I lost money to bail my boyfriend out, I’m glad this company has it and not some of these vultures claiming to be “helpful bail bondsmen.” Best place if you catch yourself in a legal bind EVER. I have called 5 different bail bondsmen and each one took the inmate info and said they'd call me back. I'm still waiting on a call back from them! I called Be Free Bail Bonds and Steve responded. He called to get info on the inmate while I was on the line. He was professional, polite and very patient. He explained each and ever step that actually went very smoothly. I'd recommend Be Free Bail Bonds to ANYONE that needs help bonding someone out. Thank you again Steve!! Response time was immediate and very caring about our situation. I would highly recommend calling should you be in need of a bondsman. We really appreciated you today..professionalism..customer service and the fact that you care. Thank you!!! For a Horrible situation, Steve was there for Us. He was quick, easy and knowledgeable. I would recommend Him to Anyone. Thanks again for all Your help. I called and went in within half an hour. Filled out all necessary paperwork. I didn't know what to expect. Carl explained everything to me. Then we went to the Jail to have my son released from custody.The level of service was great. I would definitely recommend Be Free Bail Bonds. If I ever need a bail bonds in the future I would come here first. Lookin for great bail bondsman I highly recommend “BE FREE BAIL BONDS” this man is a great & caring guy he will do whatever it takes to make sure yo bond is made no matter the price.. Very professional!!! What a great guy to deal with in a bad situation! Thank you so much!!!! Thank You Carl for helping me in a time of need. You were friendly and on time! I highly recommend Be Free if you find yourself in a pinch! very respectful. made me feel at ease about what I was doing and made sure I understood what I was signing. and they have affordable payment plans. should we ever need another bail bondsman we. know where to turn.